What is the top inventory management solution on the market? The top inventory management solution on the market is NetSuite ERP because of its scalable interface and robust set of features. It comes with end-to-end inventory management that lets you monitor stock levels, automate the ordering process, as well as send your payment to the supplier. Moreover, as an ERP, it is also equipped with modules for other operational tasks such as accounting, demand planning, manufacturing management, and vendor management. You know that inventory management is not just about keeping tabs on stock levels. It requires you to strike a balance between managing your inventory costs and satisfying customer demand — a feat that is easier to accomplish with inventory management software. What are the key features to expect from these solutions? These software products are built to give you the real-time status of your inventory based on sales and automate the processing of reorders so that you can focus more on running your business instead of counting the products you have in stock. Moreover, most of them have the ability to generate reports on your sales performance, what items aren’t selling, and which products are selling out fast, allowing you to adjust your strategies accordingly. But that’s as far as the similarities go. The challenge in picking the right system is to get the right mix of features, pricing and overall usability. With dozens of inventory management solutions out there, finding the right software will certainly take a significant amount of time away from your core work. One logical option is to narrow down your options to the best systems in the field; as such, we take a look at three of the leading solutions of today: NetSuite ERP, Zoho Inventory, and Vend. To help fast track your research, we did a head-to-head comparison of these products’ features, integration capabilities, and mobility so that you get a better idea of how each platform will be able to support your operations. It is only right that you’re thinking of setting up a system to enhance how you keep track of your inventory. Often seen as a mundane and unimportant aspect of running a business, inventory management can spell the difference between profit and loss. Back in 2014, Walmart lost $3 billion in sales because they were unable to restock their inventory quickly enough to meet the demands of their clients. More recently in 2015, Target Canada lost $2 billion because mismatched barcodes left a good chunk of their shelves empty. To sum it up, proper inventory management is more crucial than it seems. 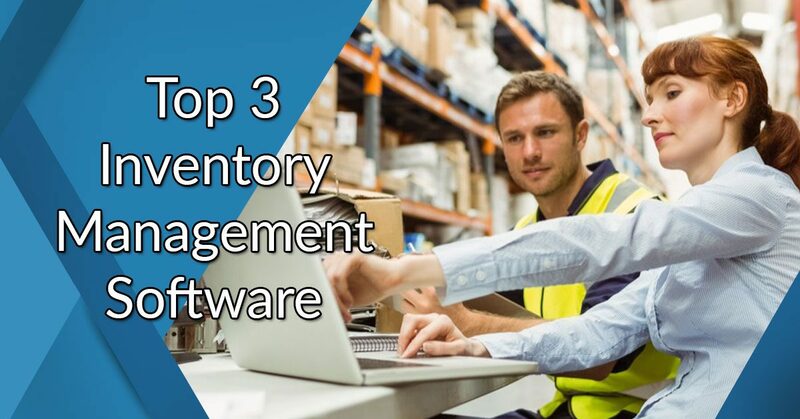 The top inventory management software solutions on our list have been proven to reduce wastage, optimize warehouse usage, decrease storage fees, and improve profit for businesses from various industries worldwide. In some cases, modern inventory systems can even arrange for shipping services as well as process transactions automatically. What is even more important is that companies can rely on these tools for accurate sales trend analysis, making it easy to predict how much of which products to restock. This is why it comes as no surprise that, according to ResearchAndMarkets.com, the market for this type of system is expected to reach $4.82 billion by 2024 at a CAGR of 15.2%. Similarly, Zebra Technologies predicted that 65% of retailers are planning to invest in inventory management technology by 2021. We’ve prepared in-depth evaluations of the three top-rated inventory management solutions that we believe match almost every business scenario: NetSuite ERP, Zoho Inventory, and Vend. Starting with the big three is a good first step to finding the right inventory system, but if you want to try more options, you may want to check out our list of the 10 best inventory management systems for a wider pool of options. NetSuite ERP is an end-to-end solution engineered to streamline mission-critical processes. An enterprise resource planning platform at its core, it can handle everything from accounting and asset management to manufacturing and billing management. It also comes with a sophisticated inventory management system with tools for cost management, order fulfillment, and stock control which is why it landed the first spot on our list. With this at your disposal, you can keep your inventory fully stocked, distribute products more efficiently, and process payments quickly. It can even provide you with real-time visibility over stock levels and generate reports on the implications of your sales trends. You can check the solution closely when you sign up for a NetSuite ERP free demo here. In addition to its impressive set of features, NetSuite ERP also has the capability to integrate with CRM systems, PSA systems, payment gateways, and other third-party applications so you can have access to all the features you need in one platform. This tool is also great for owners of online shops as it can be used alongside multiple eCommerce systems. For your peace of mind, NetSuite has over 20 years of experience providing quality software services for eCommerce, CRM, and financial management. Moreover, they are backed by Oracle, its mother company, another reputable brand in the technology industry. NetSuite ERP has also been touted as “the world’s most deployed cloud ERP solution” with over 40,000 enterprises utilizing the program in 160+ nations. With that said, you can rest assured that you are in good hands. Zoho Inventory belongs to the reputable Zoho suite of business and productivity apps. It automates and streamlines order and inventory management processes of fast-growing businesses. If you’re a promising startup or with a vision of expanding the business exponentially, Zoho Inventory scales to your sales and order fulfillment without a hitch. For starters, it offers a free edition for two users and covering up to 20 online orders and shipping labels per month. It’s a great deal to immediately enjoy the benefits of this solution. To find out how this solution can spur your business growth, sign up for a Zoho Inventory free trial here. Notwithstanding its rich feature set, covering functionalities from managing orders to shipping, the system is agile. Its simplicity in letting you add modules as your requirements grow is a breather in today’s disruptive business landscape. Hence, Zoho Inventory is a must-have system, our top choice for small and medium-sized businesses. Consider its end-to-end tracking that gives you complete visibility of items from order to delivery. It also lets you add more sales channels via its integration with Amazon, eBay, Etsy, and Shopify. Meanwhile, you can create and manage Purchase Orders and Sales Orders in minutes from a single platform. You can also move stocks between warehouses and keep a centralized control point. This feature is handy in, for instance, juggling branch resources when faced with sudden localized stockouts. Moreover, Zoho Inventory isn’t siloed. It integrates with important systems such as shipping services, accounting, and CRM. You get to build a solid technology stack that syncs your logistics, orders, customers, and finances. Cloud-based point-of-sale and retail management platform Vend is designed to help retailers manage their inventory. It allows users to operate their businesses online, in-store and even while on the go. Vend’s core functionalities revolve around inventory management, customer loyalty, eCommerce and analytics. The system, which is built to run on the iPad is popular among businesses for its flexibility, able to support mouse, keyboard and touchscreen systems. It can boost product management, track and organize customer data while dashboards provide clear views of products and sales. Should you want more information about this platform, the vendor offers a great free trial plan that lets you try out all the key features first. You can easily sign up for Vend free trial here. The solution is highly customizable, with the POS screen easily modified so as to be able to access key items and processes. It is designed to run with existing business systems, equipment, and hardware, which include barcode scanners, receipt printers, and cash drawers. Vend is easy-to-use, all that is needed is a web browser on any device. It is quite flexible and can be used in other businesses such as food service. This highly scalable solution can grow with businesses. Premium functionalities are also available as the vendor offers value-added options. For product variants and composites, Vend lets you create multiple product sizes, colors or any variations you need, and edit them all in one view. You may bundle products together to form new products like gift baskets, or split one product into many like wine by the bottle or glass. A good inventory management system does more than just oversee the movement of items in and out of your inventory. It helps you keep stock costs down and optimize your cash flow. This is where NetSuite ERP excels. Offering tools for both front- and back-office processes, it can easily centralize all of your inventory management tasks alongside other aspects of your operations. For one, NetSuite ERP’s inventory tracking tool lets you track stock levels and see sales trends so that you can upsell items on your website based on what your other customers are purchasing. It also has a warehouse management tool optimized to handle multiple locations, making it ideal for large businesses, a bank reconciliation tool that lets you consolidate your bank statements and a financial management system that will allow you to manage transactions from within the platform. The platform can even automate cost calculations and purchasing workflows to save you and your staff some time. In the area of B2B commerce, NetSuite ERP manages inventory levels in line with your sales performance–something that is previously a huge challenge when you want to check and sell warehouse stock directly. Additionally, it comes in handy for agile businesses who want to get insights on their sales performance and turnover rates because of its built-in business intelligence tool. However, it is important to note that it has limited features for data consolidation and visualization. For instance, you’ll need to run separate reports and save them on Excel to do lookups if you want to use data from multiple modules. Another drawback to NetSuite ERP is that its interface is quite difficult to get the hang of, which is not ideal for small teams with no IT teams. Zoho Inventory also does well on many aspects of inventory management, giving you end-to-end tracking that lets you stay on top of your items from order to shipping, which helps you prevent overstocking or understocking which can both negatively impact your operations. Like NetSuite ERP, Zoho Inventory provides multi-warehouse management in real time. In addition to that, it enables you to distribute your stock across regional warehouses, synchronize sales reports across locations, and even manage product transfers seamlessly. To top these functionalities, what makes Zoho Inventory different from the two other software on this list is that it is equipped with a drop shipment feature. With this, you can get real-time updates on your deliveries and instantly record payments for the bill. If you’d like, you can even mark a sales order for drop shipping and raise a bill for it. Lastly, Zoho Inventory has you well covered in the area of e-commerce as it has partnerships with quite a few e-commerce platforms. Within a few clicks of the mouse, you can adjust inventory quantities across all channels when an order is received from an integrated sales channel. To manage orders, you can monitor and fulfill orders from different channels in a centralized hub, improving efficiency and letting you fulfill orders promptly.  As for Vend, it is primarily a POS solution but it offers quite a selection of basic inventory management tools. Similar to our other two platforms, it comes with a multi-channel inventory that syncs across locations and systems. With this, you can say goodbye to double entry as you manage a single catalog across online and offline channels and choose which products to sell online in the click of a button. It can also track stock levels, special taxes, and costs so that calculating your sales and determining how much to budget for restocking is easier. The platform is also built to simplify purchase order management so that your most popular products are consistently in stock. Offering a Periodic Automatic Replenishment (PAR) feature, you could define a certain level of stock on hand before you need to reorder items. You can set that up for one or multiple stores. Not only that, it will also give you persistent warning notification until you acted on the inventory issue. Aside from integrating with leading partners, Vend lets you open a new online store in minutes or connect existing e-commerce stores to Vend with complete sync of products, inventory, customers, and sales. The only problem you might encounter when using Vend is that it offers less robust functionalities which may suffice for small businesses but can be too basic for larger businesses. NetSuite ERP serves as an all-in-one solution that lets you handle all aspects of inventory management in one convenient interface. As cloud-based solutions, NetSuite ERP, Zoho Inventory, and Vend are easily accessed from any device platform. However, there are a few differences among the three. NetSuite ERP is web-based. You can access it using your desktop or mobile gadgets so long as you have an internet connection. Meanwhile, Zoho Inventory has dedicated iOS and Android applications for this platform which means you get a more responsive version of the platform. Similarly, Vend can be accessed using your desktop and mobile device. However, it is only limited to iOS. Zoho Inventory has native applications for Android and iOS devices so you can monitor your inventory while you’re on the go. Among the top three inventory management systems, NetSuite ERP is by far the most powerful in terms of security. Aside from being GDPR-compliant, their system has met other security standards such as the EU-US privacy shield framework, SOC 1, and PCI-DSS. Furthermore, they employ quite a handful of intrusion detection systems and enterprise-grade antivirus software to keep all of your data safe and sound at all times. As part of the Zoho suite, Zoho Inventory leverages the company’s comprehensive set of security protocols. It has physical security through its data centers and network security using TLS 1.2 protocols. The platform also slices down the operating system to minimize risks. Moreover, the global provider employs power and internet redundancy, geo mirroring, and back-up systems to protect your data during disasters. At the onset, Vend provides clients a downloadable primer on POS security to help its clients protect their businesses from hackers and fraudsters. The same clients can choose to access the primer content online. NetSuite ERP is GDPR-compliant and offers customizable security options. What makes NetSuite ERP one of the most desired systems of its kind is scalability, having in mind that it was developed to support your growth and that its functionality is fully configurable and expandable upon need. It isn’t a full-fledged open-source platform but it does offer such an approach to accommodate your requirements. This way, you can add and customize functions with ease, up until you leverage an end-to-end business management system that eliminates all need to invest in third-party solutions. Coming a close second to NetSuite ERP in this aspect is Zoho Inventory. Aside from having native integrations with other products from the Zoho productivity suite, it also comes with a powerful API feature. With this, it can integrate with leading marketplaces such as Shopify, eBay, Magento, and Amazon. It also supports payment gateways, accounting systems, CRM platforms, and shipping applications. Unfortunately for Vend, this is one area that it is at a disadvantage. While it has the ability to be seamlessly combined with third-party applications, the vendor only offers a limited number of integrations and add-ons. These include systems like QuickBooks Online, Shopify, Vortex, Ecwid, Resurva, and Xero. NetSuite ERP can seamlessly integrate with a wide variety of third-party systems. In this regard, all three platforms seem to be on equal footing. NetSuite ERP offers basic and advanced customer support for their clients depending on their subscription package. Both include support via email, live chat, and phone. Moreover, they can provide hands-on assistance to their clients. The only difference between their two types of customer support is that the advanced one is available 24/7 and the basic one is not. They also offer knowledge bases if you’d like self-service tech support options. Vend provides a FAQ page, 24/7 customer support, live chat, or you may drop them a message through a submission form in their website. If you wish to contact them in person or phone, you may access their offices in the US, the UK, Australia, Canada, and New Zealand. Moreover, they provide customer training to help you get the most out of their platform. Zoho Inventory provides an online user guide to help you gain in-depth knowledge of its features, customization and implementation procedures. FAQs in its extensive knowledge base have detailed answers to common queries about the product. You may request a feature or join millions of other users in forums, webinars, and blogs adequately provided. There is also a comprehensive business guide meant to help you grow your business successfully, as well as standard email, phone, live chat help available 24/5. Vend has a user-friendly dashboard that lets you get a complete view of your sales and inventory status. To maximize its use, the vendor offers hands-on technical assistance. When it comes to pricing, Zoho Inventory has the advantage, hands down, because the vendor offers a freemium plan for small businesses. This package, however, is limited to 2 users, 20 online orders, 20 offline orders and 20 shipping labels per month and you can only manage one warehouse. But that should be enough for any business that wants to level up inventory. That said, the solution still has the most affordable paid plans, starting at $29 per month. Right next to Zoho Inventory is Vend as it is available in monthly packages and a quote-based plan. If you choose so, you may start with its 30-day free trial to test all its features as you can even choose what type of retailer you are from cafe and restaurants to fashion and lifestyle retail, among others. Vend’s pricing plans start with the Lite version for $ 119/month, good for one outlet. The Pro version for up to five outlets and unlimited turnover comes in at $159/month. You need to contact Vend to get a quote for its Enterprise plan, which is good for more than six outlets and unlimited turnover. NetSuite ERP is the most expensive option among the three with a base license costing $999 per month. Their plans are only available by quote so be sure to get in touch with their representatives for more pricing specifics. Zoho Inventory offers affordable pricing plans which include comprehensive features like this product grouping tool that can organize your inventory items according to different criteria. In summary, NetSuite takes the top spot in this series of feature comparisons with its fully integrated interface and highly extensible framework. With this, small startups, high-growth businesses, and large enterprises can easily manage their inventory as well as other aspects of their business such as invoicing, payment management, demand planning, and accounting. To add to that, this platform has a full-fledged business intelligence module that allows it to generate accurate reports and predictions on sales performance and inventory status. Meanwhile, Zoho Inventory is strong in the area of more focused inventory management. It slightly edges the other two applications in ease of use and UI simplicity. Its drop shipping feature is quite popular among e-commerce retailers. Furthermore, you can rely on Zoho Inventory to arrange products in neat and modern mobile catalogs, manage inventory end-to-end and accurately forecast upcoming sales. Lastly, Vend, while it may pale in comparison to our two other tools, still has plenty to offer to its users. It certainly shines when it comes to its accessibility and streamlined feature sets, which make it great for users who have no prior experience using an inventory management tool. What’s more is that it still has robust inventory management and comprehensive reporting, so you can be sure that you are still getting the tools you need. Whether you are a local brick-and-mortar shop or an international service provider, you can rest assured that there are plenty of benefits to be had when you choose to implement these inventory management software for your operations. However, like any other technology, these tools shouldn’t be seen as silver bullets that will magically boost your efficiency and fix your inventory troubles. To maximize its results, you’ll need to exert a certain level of effort into understanding how to make it work for your business. Be sure to learn the ins and outs of the system, configure it according to your unique requirements, and allocate time to train your staff in using the platform. Build a Thorough Asset Organization Framework. When it comes to managing your stock, you need to first have a solid organization framework. This makes it easy to monitor and control your inventory according to your KPIs and pinpoint how to fine-tune your ordering process later on. One such process we can recommend is the ABC analysis or selective inventory control. With this method, you will have to categorize your products into A items which are high-priority products that require regular restocking, B items which are medium-priority products that sell out at a normal pace, and C items which are low-priority products that customers don’t always look for. With this system, you can properly distribute how much focus to give each type of product you offer during the management and control process. Implement Cycle Counting Schedules. Once you have an organizational framework to work with, the next thing you have to map out would be your cycle counting schedule or the frequency of your inventory audits. This is what will help you pinpoint when to reorder stocks and how many of each product you need. For food distributors, clothing manufacturers, or other businesses with high turnover rates, you might want to implement a continuous review system. This will allow you to get a real-time view of your inventory and notify you when stock quantities drop below certain levels so that you can replenish it on time. Alternatively, industrial firms, construction material suppliers, and other companies that don’t expect daily sales, you can opt for a periodic system. With this method, you can simply purchase products in batches and review how many items you need to reorder based on stock levels at the end of a period. Assess Inventory Turnover Rates Regularly. Excess inventory can add to your overhead and reduce the storage space for other inventory items. This is why you need to monitor the rate of inventory turnover so you can gauge what products you should be phasing out and which ones you can increase the stocks of. Hopefully, this list of best practices and our comparison of the top inventory management software were able to help you out as you browse for a platform for your business. To sum it up, we highly recommend NetSuite ERP as an all-in-one inventory solution for companies of all sizes because of its scalable architecture and a full range of features that go beyond inventory management. Moreover, it offers sophisticated functionalities that improve your visibility over sales and stock levels, allowing you to make better business decisions. Be sure to sign up for a NetSuite ERP free demo here to learn more about what this platform has to offer. Thanks for the informative analysis of the 3 inventory systems. It is helping me to choose what software is best for our company.